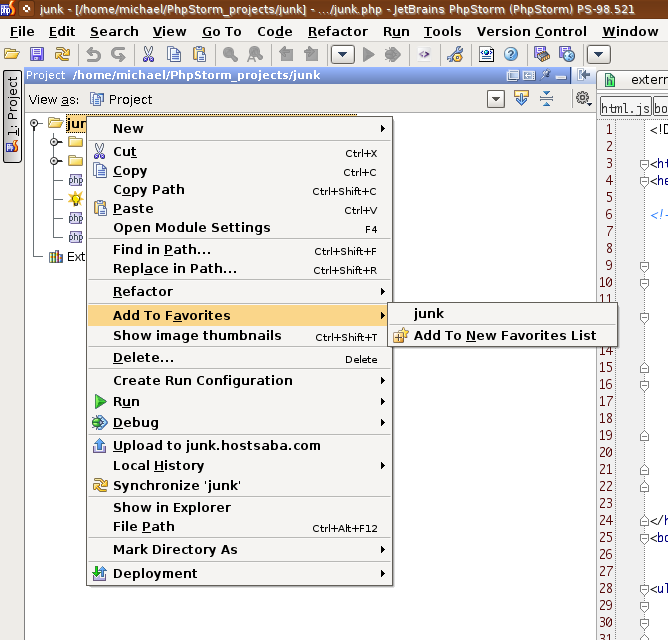 Is there a way to name or rename projects, other than the name of the folder? We use a syntax on our server that is clientname/html for frontend development for example. All frontend projects are now called 'html', which makes it kind of hard to distinguish them. As workaround you can open clientname folder. If it is really not possible to manage this I'll submit an issue. Just wanted to be sure. You can exclude undesired folders in Settings | Directories .. but if you want to create more than one project for the same folder (excluding different folders each time) this most likely will not work. Proper project management features would be very welcome as well. I work on a large number of projects, so the reopen menu doesn't quite cut it. Project naming would be a logical part of that. But for now the naming is my biggest issue. Yes, this is a needed option. But this stuff (there are also other things) goes in the direction of a proper project managment. I have also voted for project managment (this includes renaming and other stuff). Then you get to name it. 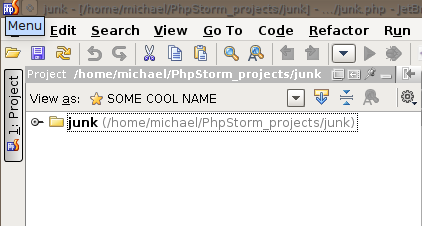 Instead of viewing the projects pane in the "View as: Project", change to the favorites view you just created so it shows as: "View as: THE NAME YOU NAMED IT." 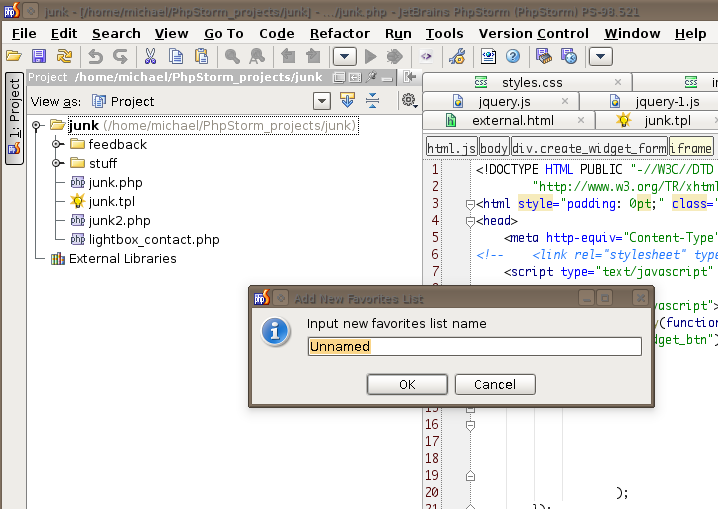 The directory structure will still be the same, except you will have the name of the project at the top of that pane. Not perfect, but could help avoid some confusion. How do I "Show Favorites view"? I know how to show Favorites, but is that the Favorites view? If so, there is no way to right-click that list in that view. How do I "Show Favorites view"? I know how to show Favorites, but is that the Favorites view? If so, there is no way to right-click that list in that view. * You can have multiple favourite lists. * Select the one you need (you must have at least 2 for rename to work). * Now, in the list where you see all files that belong to this favourite list, just right click anywhere and select "Rename favorites list" from context menu. select "Add to New Favorites List"